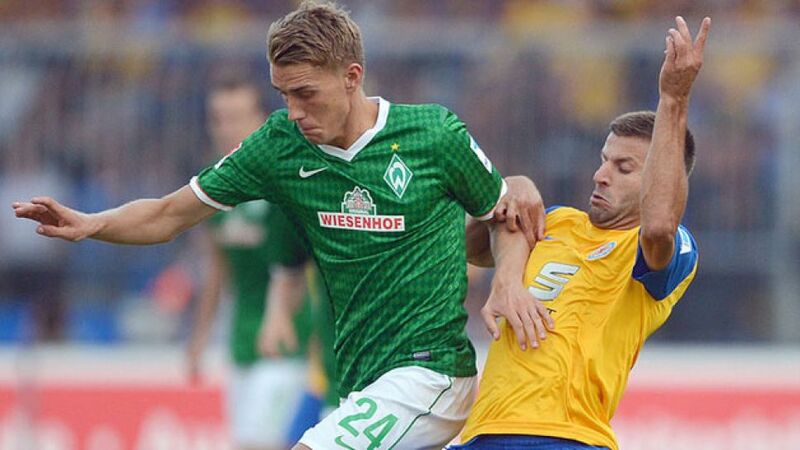 Bremen - Older and wiser, Eintracht Braunschweig can no longer use the excuse that they are not used to the Bundesliga when they travel to SV Werder Bremen on Sunday (kick-off 15:30) looking to get 2014 off to a bright start. The league newcomers - back in the big time after a 28-year absence - laboured through the first half of the campaign, picking up just 11 points, the fruit of three wins and two draws. Their other 12 games were defeats, but some of them, as coach Torsten Lieberknecht was keen to point out, were avoidable. "It's okay to lose games, but not by giving points away," he said. "The points we threw away do show us, though, that it is possible to have more than 11 points." With that in mind, and a positive mid-season training camp behind them, Lieberknecht has every right to believe his side can rise the standings between now and May. With proving decisive in wins against Wolfsburg and Bayer 04 Leverkusen, they have a player in their ranks who can make the difference. is another who can build on his first half of the season. With two goals and four assists, the former Leverkusen midfielder has an admirable record and, like his team-mates, hopes to have something to celebrate on Sunday, even if he admits he may find it hard against the club where he spent his youth. "If there is any reason to celebrate, then I will do so," he told the Weser Kurier. "Although Werder still have a place in my heart." Braunschweig will be without , who is still in hospital after an operation on his ankle. "Wherever I am able to see it on TV, I'll be cheering them on," he said. "It's particularly frustrating for me not to be on the field after the good end to the first half of the season, but all I can do is keep my fingers crossed." Bremen coach Robin Dutt will be doing likewise in the hope that will be fit to continue his ever-present record this season. The German forward, 27, has angina and has not been able to train recently. "It's not looking very good," admitted Dutt, who may have to turn to to fill the void in his front line. That is not a certainty, though, with Dutt revealing he has a "plan B, B1 and B2" which involve "three players who I would have no qualms about fielding, and five who I could field, albeit with a few reservations." The latter option has not been discarded, however, as the northern Germany side look to catch Braunschweig out like they did with a late goal in the opening-day exchange back in August. "Maybe there will be a surprise," added Dutt. If that surprise comes in the form of another late goal, then Nils Petersen would take that. "It could well be 0-0 for a long time if both sides are cautious," he said. "But our priority is to ensure we keep a clean sheet and then use the few chances we have."